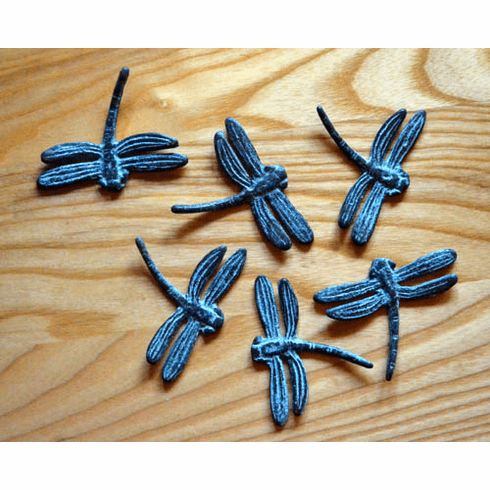 Dragonfly Scatter, Set of 6 - We use the cast brass Dragonfly Scatters daily to secure notes on the kitchen counter or desk. These little guys are a perfect way to dress up your dinner table, your friends will enjoy spinning them about, simple entertainment if the dinner conversation gets a bit long in the tooth. Cast brass with a verdigris finish to bring out the detail, each dragonfly measures 3".